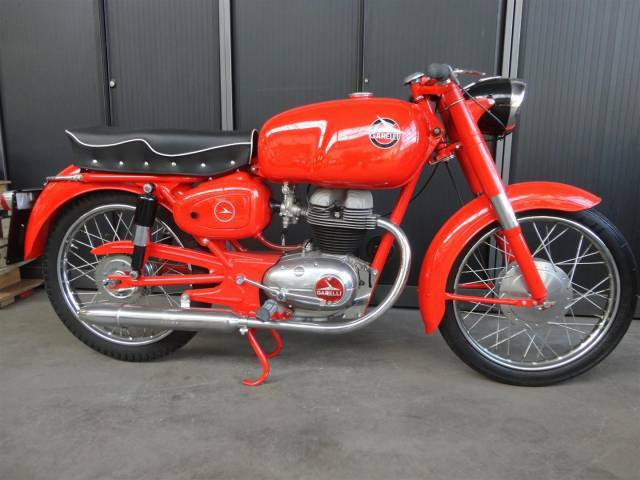 A very nice, perfectly restored, good running 1960 Garelli "Motoleggra". A 4stroke 125cc engine. Big choice in bikes and mopeds in ''''the Stolze Collection''''!